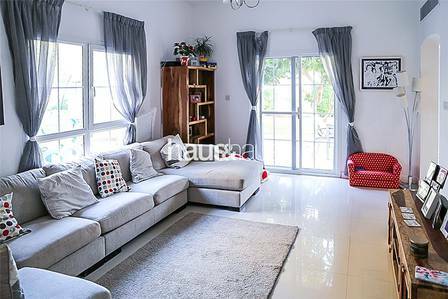 Listed exclusive with haus & haus, we are pleased to present this beautiful three bedroom villa in Zulal 3, The Lakes. This property is in immaculate condition and the kitchen & flooring has been upgraded. Situated in a quiet location this is the perfect family home. Available from April. Listed exclusive with haus & haus, we are pleased to present this beautiful three bedroom villa in Zulal 3, The Lakes. This property has been kept in immaculate condition and the kitchen & flooring has been upgraded. Situated in a quiet location with a beautiful mature landscaped garden this is the perfect family home. Available from April. The Lakes is a popular residential area in Emirates Living, with a large central lake, community center, restaurants and a fitness center, and just moments away from Sheikh Zayed Road.